You can easily calculate your handicap with some simple math. Calculating a golf handicap is essentially a means of determining how the score of a more experienced golfer compares to a new golfer. This calculation is done so that a group of golfers with different abilities can compete equally when playing a round of golf. Not only does it help a new player's confidence, it also makes the round more interesting for everyone. Collect scorecards from five previous rounds of golf. Make sure they include slope and rating information. 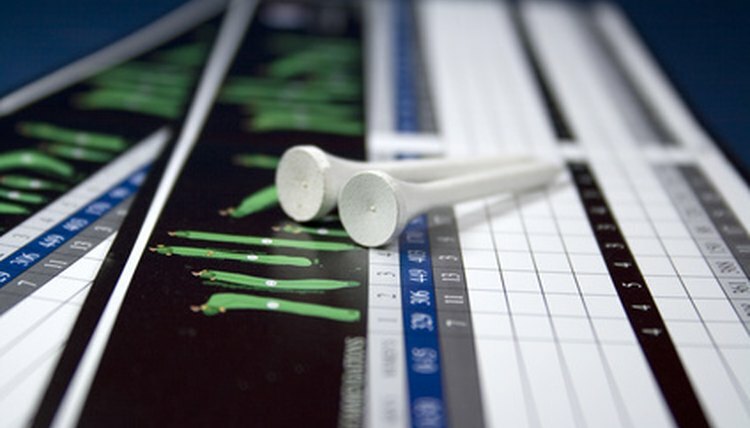 Work with one scorecard at a time. Subtract the course rating from the score. Multiply the total from the previous step by 113. Divide the result from the previous step by the slope number of the course. The result is known as the differential. Repeat the steps for the other four scores. When finished, select the lowest differential and multiply it by .96. The resulting number is your handicap.